When the door to the first-floor apartment of S-523 A in Delhi’s spiffy Greater Kailash-II colony is flung open, a lanky man, dressed in a vest and lungi, greets us with a smile so thin we can barely discern it. You can even say he looks sullen, sour, perhaps irritated at the disruption of his routine. He is former Defence Research and Development Organisation (DRDO) scientist K. Santhanam, who was the field director during the Pokhran-II nuclear tests. It was he who stoked a raging controversy when he claimed at a seminar in August that the thermonuclear device tested on May 11, 1998, at Pokhran didn’t perform as expected. We follow Santhanam into his spacious drawing room. There are no neat arrangements here, no particular method—sofas are placed to leave large vacant spaces; the table is cluttered with books, sheafs of papers, an ashtray with stubs. The TV screen, hanging from the wall, beams a slice of the past from the History Channel, accidentally symbolic of the Outlook team’s desire to know what exactly happened on that scorching May 11 afternoon. It’s him National Security Advisor M.K. Narayanan described as a maverick, for questioning the thermonuclear test of 1998, in an attempt to dissuade the nation from believing him. As you listen to him unravel the nuclear complexities, rattle out facts long forgotten, question luminaries such as Dr A.P.J. Abdul Kalam and Narayanan in a sardonic tone, you know he’s a maverick who’s irrepressible, who isn’t likely to buckle under pressure and recant. 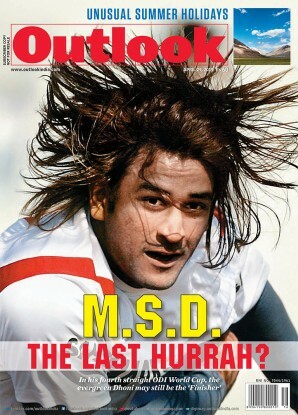 What was planned for the 1998 tests? What were your thoughts? Why was it planned? 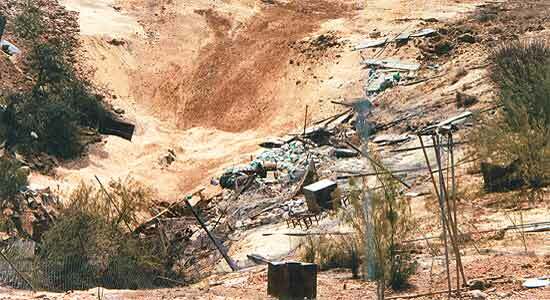 The May 1998 tests occurred 24 years after the 1974 peaceful nuclear explosion (PNE). Many things affecting India’s national security had occurred. For one, Pakistan and China had begun their cooperation in the nuclear weapon area in January 1975. (Z.A.) Bhutto had said that Pakistan would eat grass rather than succumb to a nuclear India. Certainly, they had the desire to acquire nuclear weapons. What’s necessary for us to note is that we have to keep a vigil on such developments and appropriately tune our own programmes—to improve them or go on a plateau so that the country is not caught by surprise. Also, the 1974 test was a fission device, an experimental configuration. It was done more as a proof of principle rather than as a weapon which was optimised in terms of weight and size, to be delivered by either an aircraft or a missile. To be frozen in time with the 1974 design was also not desirable. Compared to 1974, we (now) have a long-range missile from the Agni family. Unlike an aircraft as a delivery system, a missile is difficult to intercept. So surface-to-surface missiles of sufficiently long range would be the vector of choice for a country which decides to go nuclear. Certainly, India had perfected the fission bomb or the atom bomb, with the yield in the range of 20 to 30 kilotonnes (KT). But the hydrogen bomb or the thermonuclear (TN) weapon can pack a bigger punch, almost at the same weight, maybe with a little more volume, but not substantially higher. So, to pack more punch within the volume and the mass to be carried in the payload of a missile, it was necessary to complete the work. Certainly, there was some work going on, but we had not conducted thermonuclear tests. It’s important to note that no country in the world, including the big boys, has succeeded in the first atomic nuclear tests. No matter how good or smart you are in theoretical calculations or modelling and simulations, there’s no replacement for full-scale testing in order to be sure that your design works the way you meant it to work. Theory has to be validated by experiments. 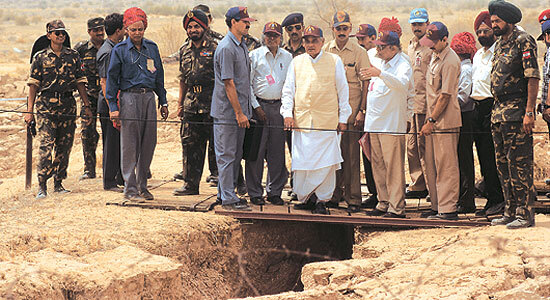 In May 1998, we had a TN device, its designed yield was 45 KT and that was placed in one of the shafts in Pokhran. When was the decision taken? Who took the decision? When were you all told about the go-ahead? We were close enough to conducting a test towards 1995 end. That was held over for various reasons. When the BJP-led NDA government came to power (in 1998), one of the first few decisions it took was to call the agency heads of DRDO and BARC and ask, how is your readiness status, how soon can you do it. It was decided to conduct the tests in May 1998. Since no country has got the thermonuclear device right with a single test, were there apprehensions in May 1998 that one test for the H-bomb may not be sufficient? The very purpose of testing is to validate your designs and theoretical calculations. Between 1995 and May 1998, the device for a thermonuclear test was (made) ready. It was a device for 45 KT; anything above it would have caused a venting of radiation that would have been a violation of the Partial Test Ban Treaty to which India is a party. So, in May 1998, we had designs for a fission bomb test, for a TN device and three others with sub-kilo tonnes. It was a fairly comprehensive kind of test. These were all prepared by the DRDO? The instrumentation was done by the DRDO and the recording instruments were also part of the DRDO’s responsibilities. The shaft in which the fission bomb was tested had a huge crater, even larger than the 1974 one. But the shaft where the thermonuclear device was tested did not cause the kind of damage that was expected. No crater was formed, the instruments also showed that the 45 KT yield had not been achieved. When did you realise that the test for the thermonuclear device had failed? Secondly, after the tests, it’s a practice to take the vehicles and visit the site of the shafts. When we (the team also included Dr A.P.J. Abdul Kalam and Dr R. Chidambaram) went there, we saw the crater was very large for the fission bomb, it was even larger than the one in 1974. But for the TN shaft, the damage was very little. No crater was formed. Were there other sceptics about the performance of the thermonuclear device? Almost immediately, the international seismological centres, including those with decades of experience of monitoring underground testing, put out their assessment that the 45 KT yield claimed for the thermonuclear device didn’t happen. It was instantaneous, it was not inspired, it was not racist. You can’t give any such labels and say that they were deliberately doing it to downplay India’s success. What about the other team members? Were they also sceptical? Seeing is believing. They accepted that the TN device had under-performed. The Bombay team didn’t accept that. They said it right there? No, they went back. Then they went to some rather ridiculous extreme by saying that the DRDO’s instrumentation was faulty. This is amazing. With respect to the fission bomb, which gave more than 20 KT for sure, the DRDO’s instruments worked perfectly. But when it came to the TN device, its instruments failed! This is talking with a forked tongue. Is there any sure sign of telling that a TN test has failed? If you look at the seismic data recorded by the DRDO instruments, which worked beautifully, you can tell that the 45 KT yield didn’t happen. Then, why’s there so much difference between your perception and that of others in the team? From scientific and technological data, we’re very sure that the TN device under-performed. Now, it’s being converted into a political statement. Claims are being made which are obviously divorced from the truth. This is an assertion rather than a scientifically proven fact. I’m not a psychoanalyst to find out what goes on in the minds of those who claim it wasn’t a failure. But as a science and technology (S&T) person, I’m very sure that the TN device didn’t perform according to expectation. And when did you bring it to the notice of the leadership? Was that the overwhelming view? Normally, in matters of disputes, the procedure is to form a blue-ribbon panel with retired, distinguished scientists, give them the relevant data and the classified report and get their view. This hasn’t happened yet. When did you or the DRDO submit the report to the government expressing your views on the TN test? And did Dr Kalam go through the report? He may have read it but I’m not sure if he understood it. No, I think there was some misinterpretation. I had used the voice vote within quotes. It was not as if he went around asking each individual, do you agree, do you agree, yes sir, no sir, three bags full. He took a broad view. Normally, what happens in such matters, as I said before, is that you form an expert committee to resolve differences. Do you think there was also personal ego involved in all this among some of the team’s key members? In this case, you think only partial truth is being said? In this case, they are claiming we managed a yield of 45 KT. This is a blatant lie. It’s a LIE—all capitals. It shows desperation of a sort. There is a nice phrase in football—“attacking the player, not the ball”. Are they trying to attack you by discrediting you? The attempt is to give the dog a bad name. But this dog has not lost its bite. What did you mean when you said the NSA was barking up the wrong tree? I said this in response to the NSA saying that Santhanam does not know what he’s talking about. I am a person from a nuclear background, who spent close to 16 years in Trombay, published articles in various journals. I was doing strategic analysis long before I came to Delhi. I may not be known to Sri Narayanan but, if anything, I will add that Narayanan is a babe in the woods on nuclear matters. His career has been that of a cop and a spook. And I don’t want to elaborate any further. What about former president A.P.J. 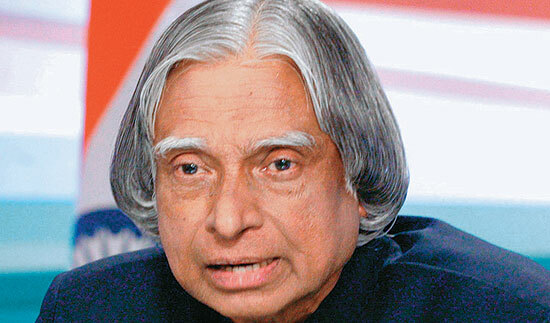 Abdul Kalam, since he was your immediate boss in the DRDO? 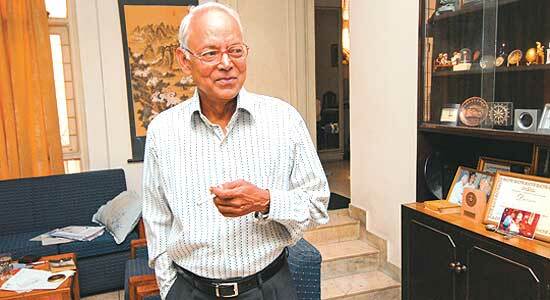 He was head of the DRDO. He is a missile man, he’s not familiar with nuclear issues. You must have seen the statement of Dr H.N. Sethna. I think Dr Kalam was put up to give a statement and Dr Sethna from Bombay gave such a whack after which Dr Kalam does not know where to hide his face. But weren’t you disappointed that Kalam, who was your boss, didn’t back you? Some people say you are raising all this now because you have political ambitions. Is that correct? I don’t have any political ambitions. 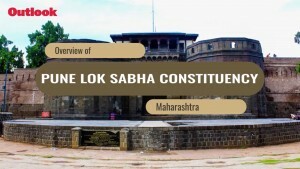 My father was an MLA in 1937, he was an MLC in 1950. My mother is a distinguished writer in Tamil who has received a number of awards. I was a debater, a quiz master and also a cricketer in college. And I have a certain ‘roundedness’, with my interest in a lot of things. But I certainly don’t have any political ambitions. This is another brush with which they want to tar me. Since I don’t have any such political ambition, this brush need not have been used. It may become counter-productive for them. It’s also one more index of their frustration and desperation. Where do you want to take it from here? I don’t want to take it any further. I want a closure of the discussion so that the dust settles down and the concerned agencies and people in government pull up their socks and try to understand the lessons from my remarks. But the failure of the TN device bothers you? It bothered me then, it bothers me now. But it does not bother me to the extent that I spend sleepless nights, because in some sense the deterrence with the fission bomb is available. But obviously, India’s nuclear arsenal is incomplete without a TN weapon. India’s minimum credible deterrent remains untouched because the fission bomb certainly worked like a song and, therefore, the minimum part of our deterrent is fully addressed. (But) certainly, we need a thermonuclear bomb, especially for the Agni class of missiles which have a range of 3,000 to 4,000 km. It really doesn’t make sense that you fly the Agni missile 4,000 km and deliver a 20 KT bomb. This will certainly not be in the category of what we call inflicting unacceptable damage on the adversary who attacks us. For sure, we need to carry out a proper thermonuclear test. I’ve said that if the opportunity arises we should consider resuming the tests. Ultimately, it’s a political decision and I fully respect that. But if you ask me, I think the Comprehensive Test Ban Treaty will be pursued with much vigour by the new US administration. The window of opportunity is available now. We can still go ahead and test. Yes, I think it’s in the national interest because the CTBT is around the corner and the new US administration will be very different in its nuclear policy than the George Bush Jr one. So, we’ll have to study all these things, understand the ramifications and take a decision based on our national interest. But won’t such tests have severe implications for India? For instance, on the Indo-US nuclear deal? If you look at the Bush-Manmohan Singh agreement on civilian nuclear cooperation carefully, there’s only a reference, half an article, which says that if the security environment around India changes and is of adverse nature, then the two countries will enter into consultations. This is a procedure by which the US is not taken by surprise about the developments. So, this is part of diplomacy between India and the US.